Premier League side Manchester City reportedly paid AS Monaco £52 million to officially make Benjamin Mendy the World’s Most Expensive Defender. The Frenchman was instrumental to the Ligue 1 champions run last season. His surging runs down the left flank helped him pair very well with striker Radamel Falco. Apparently, the Columbian hitman and Mendy had a code they used to know when a cross was imminent. Mendy played a big part in Falcao getting the goals. The former Atletico Madrid striker netted 30 goals in 43 games – his best tally since leaving Vicente Calderon back in 2013. Mendy was crucial to Monaco, helping them reach the last four of the Champions League. They won the league title and got to the final of the French Cup. His time at Marseille helped him trim his excesses and get ready for the high expectations at top level football. Marseille boss Marcelo ‘El Loco’ Bielsa groomed him, Leonardo Jardim added his touch at Monaco, now all’s left is for Pep Guardiola to use him to the team’s advantage. 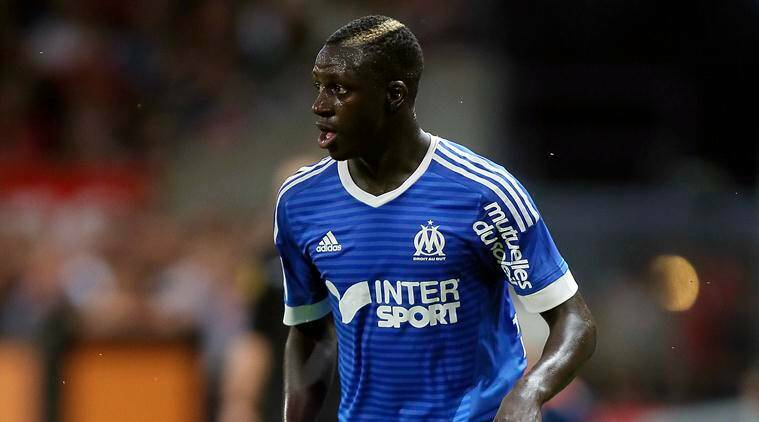 Mendy has been one of the top rated defenders in France, he would face pressure when he tries to adjust to English football but Guardiola is confident that he would get the best from him. Hence, spending a record sum to bring him to the Etihad Stadium. His deal eclipses the sum paid to Spurs for Walker and what Chelsea received for David Luiz when the Brazilian moved to PSG in 2014. Mendy joins Bernardo Silva, Ederson, Kyle Walker, and Danilo who have joined City this summer. He is the third full back to join after Guardiola cleared the former ones for younger legs. AS Monaco Star Radamel Falcao is set to continue his resurgence at the Ligue 1 side next term following an impressive run this season. He faced a difficult and injury-ravaged spell at Manchester United and Chelsea despite the high hopes following his move from France to England. He decided to return to his former club Monaco and it seems to be the best decision for his career. He was believed to be out after an explosive career run at Atletico Madrid but he led the Monaco side to the Ligue 1 title recently. The Columbian striker played a huge role in ending PSG’s dominance. In Europe, the coach shocked many when he fielded Falcao in the Champions League qualifying game against Fenerbahce. As at then, Falcao has started just two games in the past year. In fact, between January 2014 and July 2016, he played 1,857 minutes and netted just five times. Falcao scored in both legs and he has not looked back since. He added more goals in the Ligue 1, the French Cup, the League Cup and in the Champions League proper. When Monaco played Man City, the stats revealed showed Falcao scored 43 goals in 48 games – the fastest for any player even the fames Ronaldo-Messi pair. His 21 goals was crucial to Monaco’s Ligue 1 title victory – only PSG’s Edinson Cavani and Alexandre Lacazette of Lyon bettered his tally. El Tigre found his form and it’s seems he would take it to next season. The youthful Monaco side look up to him. His leadership qualities came to bear this term as he provided guidance to the youngsters. Columbian soccer loving fans tuned to watch their star player as he found his form again. Radamel Falcao says that he sympathises the situation of Borussia Dortmund after the club were made to play just 24 hours after their team bus was attacked. UEFA did not provide any concerns for the players, who were visibly shaken after a period of distress. Even then, Dortmund did manage a 3-2 loss against Monaco in the quarter-finals of the Champions League. This is a good result for the French team considering that this was the first leg. Dortmund will be making the visit to the French club in the second leg in a few weeks. After having scored three away goals, Monaco will be feeling confident about their chances of reaching the semifinals. 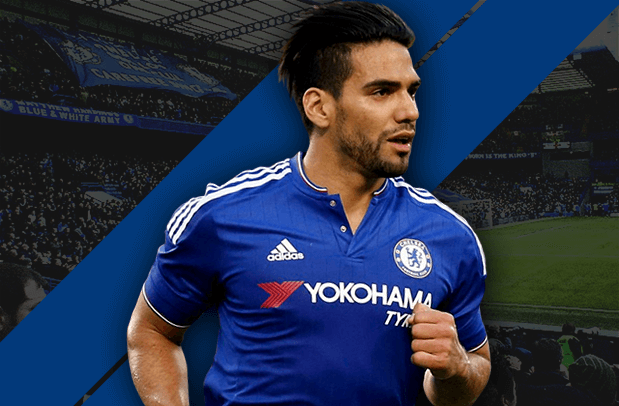 Falcao has been an important player for the club this season. After having two failed spells at Manchester United and Chelsea, he returned back to the French club. Since then, he has been on a roll and has managed to score 25 goals in 34 appearances this season. His goals have been a major factor behind Monaco moving to the top of the French Ligue 1 ahead of Paris St Germain. Monaco are looking likely candidates for a French league title for the first time since the turn of the millennium. They have not won the league title since the 1999-2000 season. “It was difficult to deal with everything that happened. We stayed very focused for two days for this game, the attacks perhaps changed the [Dortmund] players’ concentration. It’s difficult for the Dortmund players, a player was injured, but UEFA decided that we had to play,” said Falcao. Kylian Mbappe’s goal in the 19th minute was built upon by Sven Bender’s own goal in the 35th minute.Mbappe then scored either side of goals from OusmaneDembélé and Shinji Kagawa in order to give Monaco a crucial victory. Former Paris St Germain youth team coach Vincent Guerin says that David Ngog choose to move to Liverpool at the wrong time in his career. The French forward was a €1.5 million signing for Liverpool back in the summer of 2008. He turned out to be one of the last signings of manager Rafa Benitez, who was to depart soon. The move came about largely as a result of Liverpool being heavily impressed by Ngog’s performances at the youth team level with PSG. Back then, PSG did not have the financial muscle that they possess right now. Hence, Ngog came to Anfield with a view of playing in the Champions League regularly and possibly competing for the league title. Despite being relatively young, Benitez started providingNgog with opportunities straightaway. He made 19 appearances in all competitions, but struggled in terms of goals after scoring just three. Many expected his performances and goal return to improve substantially once he managed to settle at the club. In his second campaign, he scored eight goals in 37 appearances and there were rumours about Ngog being sold. The move finally came about in 2012 to Bolton, but since then he has played for Swansea and came back to France with Stade de Reims. Now, he has secured a free transfer mode to Greek outfitPanionios.”I think David Ngog could have done better. He left too soon and too early for Liverpool, without playing much. It was a disadvantage for him.But it’s like that. There are choices to be made, you have to do the right ones.For David Ngog, that did not necessarily happen,” said Guerin, who was in charge of the PSG’s team when Ngog was just making his name at the French club. Now, 27, the player is unlikely to be a top European player Liverpool expected. Gianluigi Donnarummasays that he will not commit with AC Milan until the club’s new owners prove themselves when it comes to running the club in the best possible fashion. 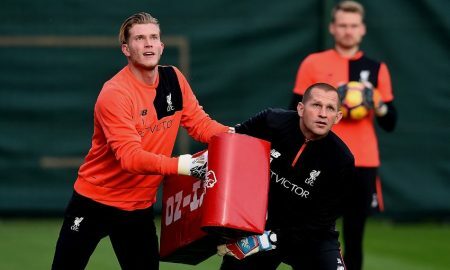 Regarded as one of the top young goalkeepers in the world, the 17-year-old has a contract with the club only into the summer of 2018. He has been linked with several top clubs across Europe like Manchester City, Juventus, and Chelsea.Chinese company Sino-Europe Sports have come to a preliminary agreement with Milan. The agreement was signed back in August and the takeover is expected to be firmly completed within the next month or so. Even the club’s new owners have promised significant investment, Donnarumma is not ready to commit until the direction becomes clear. Ignazio Abate is confident that the club will be able to retain the highly rated shot stopper. 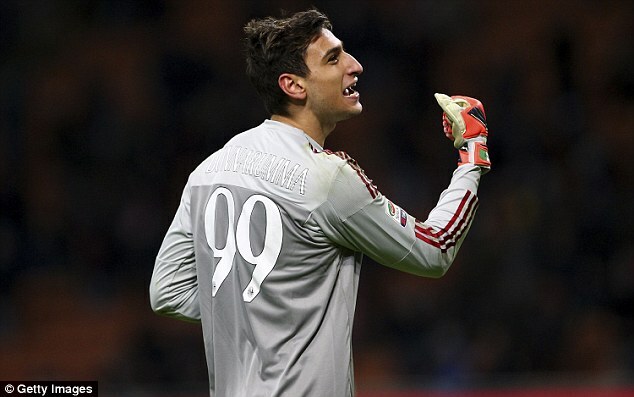 AC Milan have lost many top players over the years, and there is a real danger of losingDonnarumma as well. Abate, though, is confident will be able to bring back the former glory days under the new regime. Milan have already been linked with several new players last few weeks, and it is almost certain that they will make some headline making signing in the January transfer window. “Honestly, I’m calm.The lad has always been a Milan fan, as he said, and he’s already at a top club. This club will come back to the top of world football sooner or later, and he will definitely stay and be a star in these colours,” said Abate about the future one of the club’s top rated young players.”We will have to see what will become of this Milan before we make our assessments,” said the player’s agent Raiola in a recent interview. Despite his age, the goalkeeper has already featured in 12 league games this season. Monaco have taken yet another big step to ensure that they qualify for the knockout stages of the Champions League competition. Two goals from sensational striker, Radamel Falcao ensured that he helped his team through to win over their visiting opponents. This game is Falcao’s first European game in seven weeks. This was as a result of a lengthy break which he had to remain out of play due to suffering from a concussion. His return to the pitch has however see him unleash havoc in the heart of CSKA Moscow’s defense. An opening goal was scored by Monaco in the 13th minute into the game when Valere Germain pushed into the heart of the Russians defence, taking advantage of a wrong move by goalie, Igor Akinfeev to score a goal. While the keeper had dived low to try and stop the goal, Germain had gone all the way through knocking the ball forward and over the keeper before tapping it into the back of the net. Monaco saw another goal in the 29th minute when Falcao was able to professionally turn a cross from Benjamin Mandy into a goal. Falcao went further to score a second goal in the 41st minute which saw him play a one two with Germain, before knocking the ball past Akinfeev to find the net once more. Unfortunately, Falcao was unable to turn his brace into a hat trick in the second half period of the game where his two shots sent in from good positions that came close to doing the needful, went wide. This result means CSKA remains winless for four games now. On the other hand, Monaco sits atop the Group E league table, with a total of eight points. They have two points more than Bayer Leverkusen, who came off with winning Tottenham in one goal to nil at Wembley. Monaco vice presidentVadimVasilyev says that both Manchester United and Chelsea did not do justice to the great talent that is RadamelFalcao. The Colombian striker was regarded as one of the best in the world and he enjoyed the Monaco for a fee of around £ 50 million, which also made him one of the most expensive five years ago. However, his career has turned upside down after his efforts to recuperate quickly from a knee ligament injury in time to play at the World Cup 2014 ended up in disappointment. This coupled with Monaco being unable to afford his wages due to UEFA’s pressure meant that the club had no other option but to let him leave on a loan deal. Manchester United were a surprise destination for the forward, but the Red Devils were so confident in the potential success of the player that they agreed a £ 45 million transfer fee and a further £ 6 million loan fee for the first year. If the player was to be successful on loan, it would be made into a permanent move. However, he failed to make any impression and a similar move next season to Chelsea also resulted in a similar result. Falcao ended up scoring only five goals in 24 months at United and Chelsea. However,Vasilyev says that the clubs should be blamed for the ineffectiveness of the player.”Both clubs in England failed to relaunch him. I don’t know whether Manchester United or Chelsea did not have the patience or the desire to do that but I am quite sure this year we will see Falcao at his previous best. He is the same Falcao as ever. We’ve seen that in pre-season. 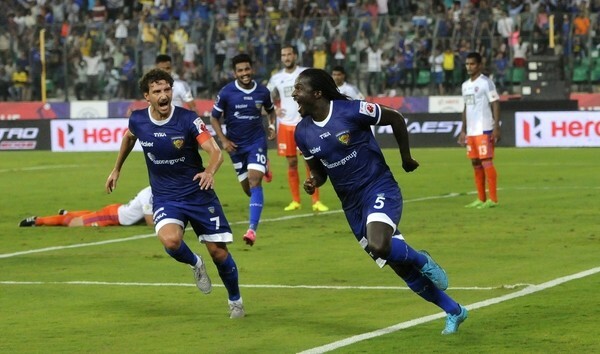 He scores goals, he’s there and he is motivated, we are motivated and I think this will be his year,” said Vasilyev. Radamel Falcao will be missing several games after he has been injured in the Champions League qualifying game against Fenerbahce. It is quite unfortunate for the player after a good performance in the match. Indeed he created and scored one goal in the game to give victory to Monaco. This was the best performance that Radamel Falcao has done in a Monaco shirt after some spells with Manchester United and Chelsea on loan. He will be hoping that he can get the bad experience behind him and start to show his ability for the French side. Radamel Falcao started the match well for Monaco but was forced out at half-time after sustaining an injury. The player was clearly frustrated to go off the pitch after the injury as he knows he was in fine form. The French club issued a statement on their website to say that Falcao has sustained a muscle injury and that he will require treatment and rest. It has also been pointed out that the player will need a period of rehabilitation once he is back. This definitely means that the player will be missing several matches at the start of the season. Ever since he has made the move to Monaco, Radamel Falcao has repeatedly suffered from injuries. In his first season with the French side, it was a nagging knee injury that has kept him from fulfilling his potential for the club. Once back he had some issues adapting to the French league and was sent out on loan to Manchester United. However, he will fail to adapt to the Manchester United style and will leave for Chelsea. 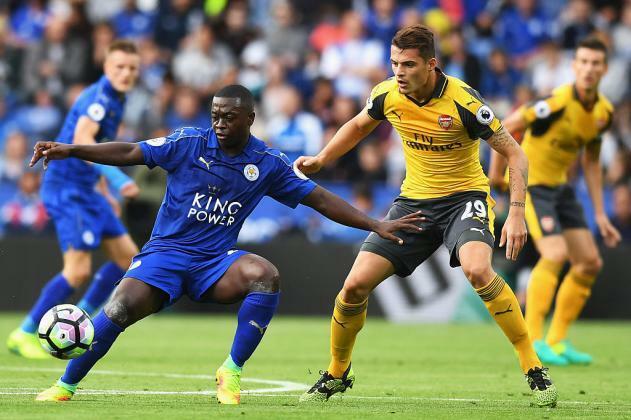 In London also he will have some troubles adapting to the pace of the Premier League and ultimately return to the French side this season. Former Manchester United and Chelsea player Radamel Falcao, who was a flop for both clubs, scored in his game back for Monaco. The player who was renowned for his goal scoring abilities few years back became the laughing stock in the English Premier League as he failed to bang in the goals as expected. The poor confidence got to him and he performed more woefully. Falcao scored 201 goals in 302 games when he played for Monaco, Atletico Madrid, Porto and River Plate. He left Stamford Bridge after his poor second spell in England and he return to the French Riviera where he’s scored on his first game. The team played a friendly against Swiss side Lugano. The game ended 5-3 in favour of Monaco. He registered a goal when he made a good turn before sending teh ball to the bottom corner. He also got an assist in the first half, making fans wonder if he was back for good, after he struggled to get just one goal in the last campaign. The very poor performance made Chelsea opt out from renewing his contract ahead of the coming season. The reason why Portuguese tactician Jose Mourinho signed him in the first place was questioned. He was performing poorly and the pressure was getting to him. Mourinho thought his fortunes would change if he left Old Trafford but the gamble failed woefully. It was Last week the club announced on their website that they would not offer new deals to Falcao, fellow struggling forward Alexander Pato and goal keeper Marco Amelia. Falcao missed most of the season’s games as he was out injured with a thigh injury. Pato joined from Corinthians but couldn’t make his mark. Amelia never got to feature for the first team despite joining in October last year on a free transfer. Atletico Madrid striker Fernando Torres believes that Diego Simeone should remain as the club’s manager next season. For him, there is no reason why Simeone should not continue the good job he is doing at the club at the moment. Simeone stated after the Champions League defeat against Real Madrid that he needed to take some time to think about his future. This is the second defeat that Atletico Madrid has suffered against Real Madrid in the Champions League, and Simeone said that he needed to think about what had happened and evaded questions about his future. For Fernando Torres, Simeone is the right man in the right place. He believes that he will stay as the Atletico Madrid’s manager next season and that all the reports that he will be leaving the club are just rumors. He said that Simeone has the right to think about his future and to reflect on how to best manage the club. He said that fans should not believe all the hypotheses made by the media and that they should keep their faith in the man that has brought them where they are. Fernando Torres has experienced a revival under Diego Simeone after leaving Chelsea. Indeed, some pundits believed that Torres was a player that was past his best when he was struggling in the Premier League. Simeone had faith in him and brought him back to Atletico Madrid where he managed to reach his best level again. He has indicated that he will be signing a new contract with the Spanish side and that the new deal will be announced soon. Fernando Torres, who will not be going with Spain for the Euros, has wished his national side good luck and said that there are enough good players in the team for them to win the tournament.